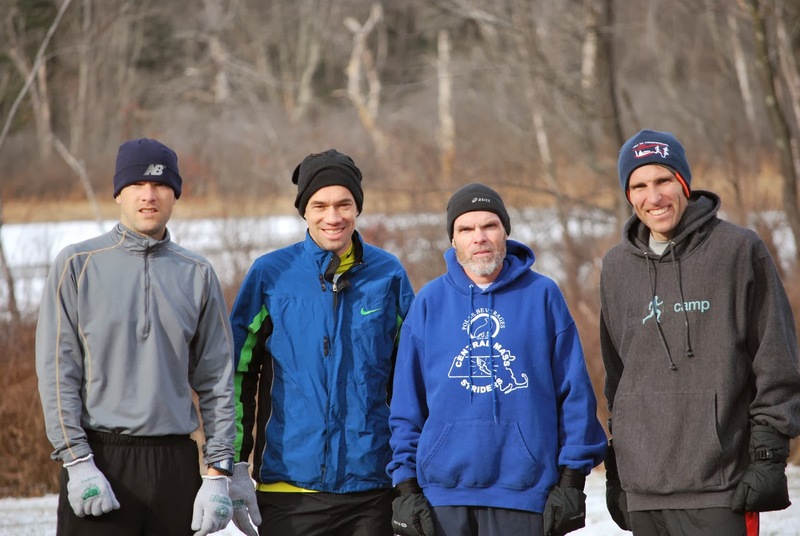 The Central Mass Strider men’s open and masters teams competed at the USATF New England Cross Country Championships at Franklin Park. The weather cleared from early morning rain hours before the start. 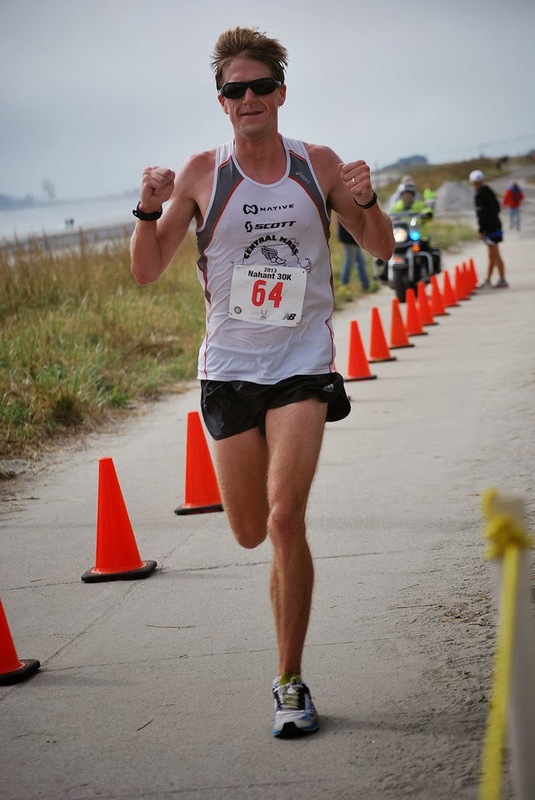 The open team was led by Nate Jenkins who was with the leaders to the end, finishing just 16 seconds behind, Eric Ashe, winner from the BAA. Dan Vassallo, fresh off his Manchester City Marathon was the second CMS runner to cross the line getting to the finish just under 32 minutes. Timothy Liponis ran his first race at Franklin Park with a strong effort was followed by James Pawlicki and Ryan Collins. Tim and Ryan are Clark University Graduate students running their first CMS team race. The team finished 5th out of 9 teams. Full results. The masters team finished 4th out of 9 teams – just 7 seconds behind GBTC. Greg Putnam took charge with the lead after the starting horn went off. He was in the lead pack down into the final straight. 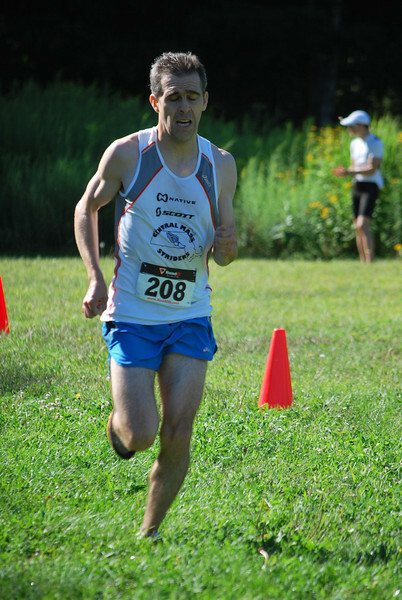 He finished six seconds behind Sandu Rebenciuc (a former CMS runner) from Greater Springfield. Ethan Nedeau had a strong showing representing CMS in his first New England Championship in 12th overall. Dan Verrington and Martin Tighe were next for CMS and placed 6th and 9th respectively in the 50+ age group. 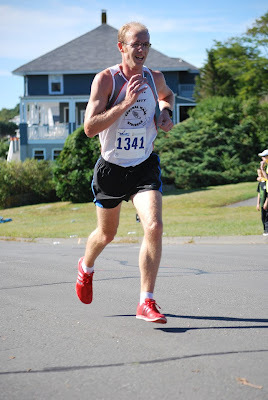 New CMS racing team member Nick Taormina gutted out a solid effort after running the Manchester Marathon last week. Dave Mingori finished right behind Nick. The CMS men's open and masters teams ran well on a cold and windy marathon course in the Machester City Marathon today in New Hampshire. USATF New England team results need to be verified but both teams appeared to have won both divisions. 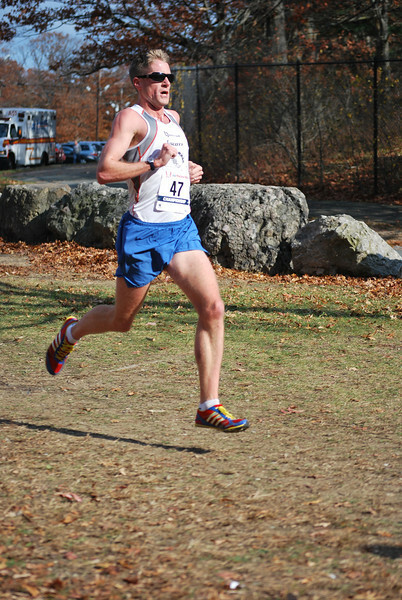 Scott Leslie set a marathon personal best by over 90 seconds in Hartford. He finished 5th overall. Jason Porter finished as the top master in the half marathon. Morgan Kennedy had a top 10 finish at the Wayland Cross Country 5K. CMS finished 4th overall out of 7 teams at the Thomas Chamberas 6K XC race this morning. This was race number one in the Cross Country Grand Prix. It takes five runners with a USATF membership to score for a team. CMS was fortunate to have five men not only show up at the starting line, but finish the race. 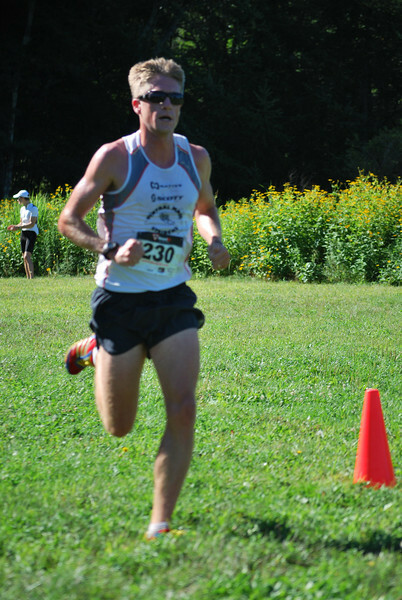 Dan Vassallo blazed to a 5th place overall finish with a time of 18:32 over the trails of Great Brook Farm State Park in Carlisle, MA. Michael Quintal finished 15th and James Pawlicki was 29th overall. 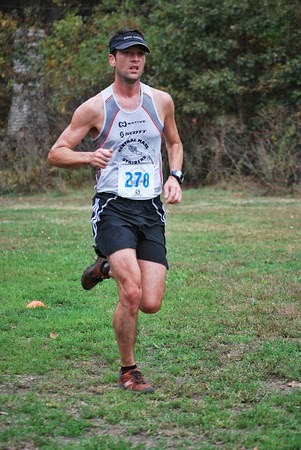 Master runner Arthur Besse finished 38th and was 4th in the master division. Dan Verrtington was 52nd overall and 2nd in the Senior (50+) age group. The team should be at each of the races that compile the Grand Prix Series. The 2013 XC Grand Prix schedule is below. All CMS members are welcome. You will need a USATF membership to score.